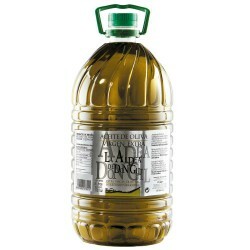 Olive Oil Big Bottle 5 L. Castil de Campos Coupage. Castil de Campos is a very good quality extra virgin olive oil, the price also makes it especially attractive for our daily consumption. It is an oil very high on flavor, texture and aromas that you'll love. It is an oil of medium intensity, with a slight bitterness and itching not very pronounced, an almond aftertaste and slightly yellowish color. Mill: Castil de Campos (Priego de Córdoba). Its cooperative production, Nuestra Señora del Rosario, is located in a strategic place and outstanding, Castil de Campos (Cordoba). The effort and daily work of all partners has led it to produce one of the best extra virgin of the area, highly recommended for everyday cooking. It is an oil of medium intensity, with a slight bitterness and itching not very pronounced, an almond aftertaste and slightly yellowish color. 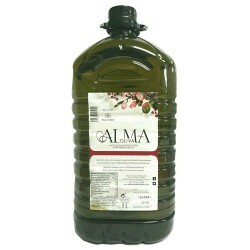 It is very suitable for frying and stewing, it will give to our dishes the essence and flavor of a good olive oil. Because of its important benefits, it is a good companion for our health. Very rich in natural antioxidants, vitamins and essential fatty acids, it prevents the development of cancer cells, skin aging and gives us a great source of Vitamin E, so necessary in our body. Undoubtedly, this oil cannot miss in your kitchen!!!!! 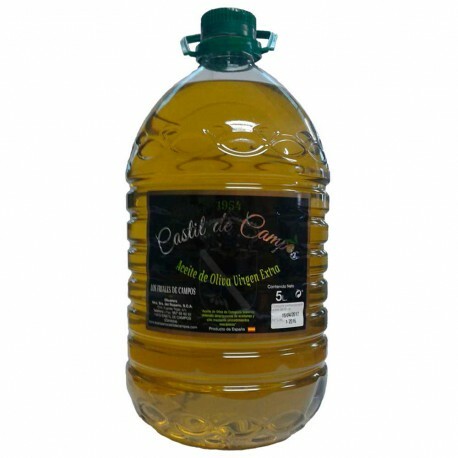 Customer Reviews about Olive Oil Big Bottle 5 L. Castil de Campos Coupage.